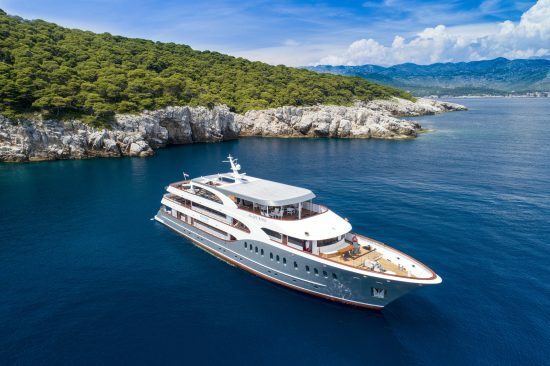 Our top of the range cruises on new, sleek and lavishly designed vessels with loads of included features - and at a price that is hard to believe. Spoil yourself with simply the best. Steel hulled boats slightly smaller than the Deluxe but offering a great standard of quality and service. Wooden hulled boats originally built for fishing or transporting and now lovingly restored - this is iconic Croatian Cruising. Best of both worlds. Spectacular cruising with small group coach touring to some of the most fascinating parts of this incredible country and surrounds. Mix your leisure with some exercise and that first cocktail in the evening has never been more deserved. Two wheels or two legs - your holiday will reach new levels. 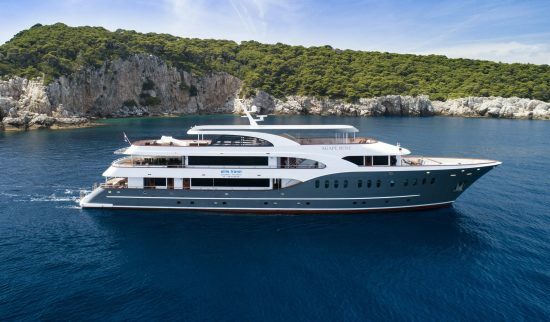 Discover why Croatia is fast becoming the number one cruise destination for small ship cruising. 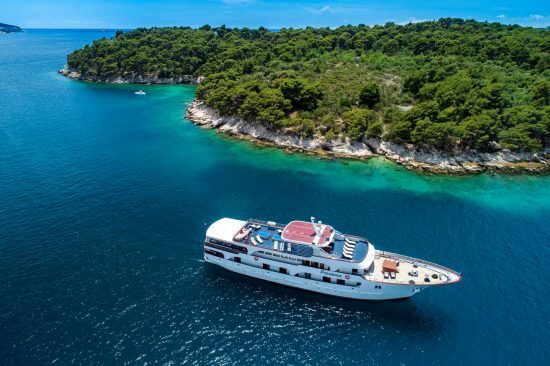 Come and experience the magic, tradition, authenticity and crystal clear waters that Croatia has to offer on one of more than 100 cruise itineraries. Whether it’s a fully inclusive deluxe ship or a more traditional wooden 3-masted ship, or a themed cruise such as our 18-35’s, hiking, cycling or even nudist cruises with like minded guests – you are bound to find the cruise of your dreams. 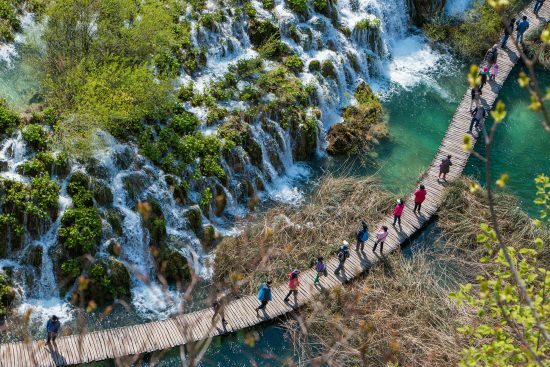 Find the style of Croatian cruise experience that is right for you. Top of the range. New larger boats lavishly designed, fully air-conditioned with spacious en-suite cabins. Slightly smaller and not quite as plush but fully air-conditioned with en suit cabins and excellent value. Traditional wooden hulled boats Mainly bunk beds so most suitable for 18-29's or those on a tight budget! Short on time then try a Mini-cruise. Same experiences in half the time! 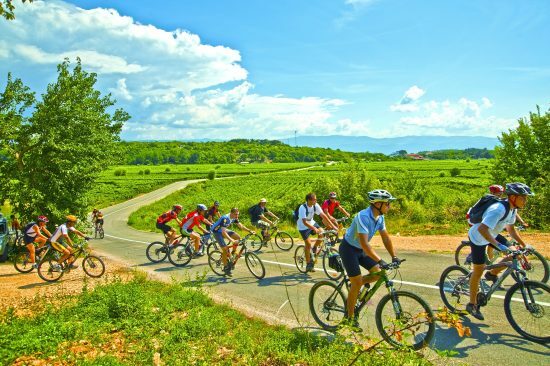 Combine cruising with your passion: hiking, cycling, food and wine, nature or yoga. Combining the best of land and sea for that complete Croatian holiday experience. 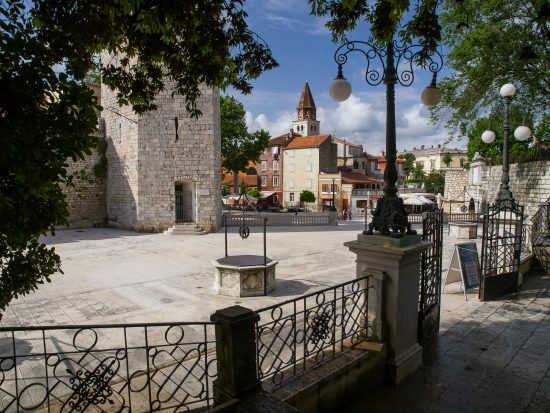 Don’t just sail the Croatian coastline, cruise further to Albania, Montenegro and even Greece. We have a jaw-dropping selection of boats to choose. From the top end Deluxe, exceptional First-Class to the iconic Traditional boats. Or even charter your own traditional wooden Gullet (with skipper and cook) just for your group and go where-ever you darn well want! Spanking new top of the range, air-conditioned throughout with all modern amenities. First Class boats are all fully air-conditioned with en suites in every cabin. Charter a traditional wooden gullet - comes with a Captain and crew to look after all your needs. Extend your time in this fascinating region. Hotels, cars, sightseeing, transfers and great information and advice is available here. Find cruises that serve up some of the best experiences in Croatia. The Beyond Travel Tour was excellent. Probably one of the best that we have experienced.In the main the hotels were good and well located. Our guide for the land (bus) component, was the best that we have ever had on any tour we have done. The tour had many 2 night stops, visited interesting places and had a good amount of free time. Many of the meals were provided in the package. The food provided was excellent, with some meals in local restaurants / wineries. We only had 17 people on the bus, so we had a lot of room.The boat trip was also excellent, with a cooked breakfast each morning and one other meal often provided. The boat itself (MS Splendid) was very comfortable and we slept on the boat while it was moored at the various islands that we visited.We would rate the tour as excellent and we not hesitate to recommend it to anyone. 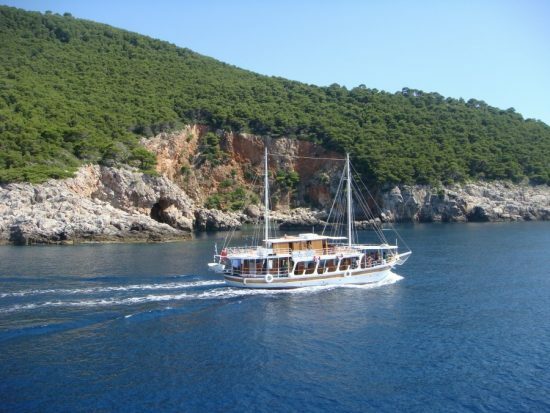 We have just completed a fantastic cruise of Croatia on Mama Marija. The ship is brand new only been cruising since April 2018. This the the first type of cruise we have ever been on and I could not rate this Ship and Staff more highly. The staff, cabins and food were fantastic. The island locations and beach stops were more than we expected. Can highly recommend this cruise. Just wanted to let you know we have just finished our cruise on Agape Rose. We had an amazing time and really enjoyed the cruise. It was a wonderful experience and catered for all our needs. The walking tours and the option trips were all fabulous and a great variety. The ship itself was perfect. Rooms were decent size, clean and great bathroom facilities. Considering we were 3 adults the cabins were still a decent size and room to move. Food on board was delicious and a great variety. They were very accommodating if any dietary concerns. The general areas such a deck, saloon, hot tub were all fabulous and a great place to relax. The crew on board were fabulous and very professional. Always helpful and made our trip a great experience. It was a mixed crowd of people aboard with a variety of ages. It was great to mix with other passengers and always found someone up for a chat. Thanks again for all your help with organising the cruise. There is a lot to be said for a relaxed cruise and jumping off the back of the boat into the sea. Your advice to head inland to the Plitvice Lakes was i think the Highlight of our travels, they are exceptional. We met people from Belgium, England, Ireland, Sydney and Perth that we will keep in contact with via Facebook. Croatia is definitely one of those places that I would Like to return to in the future - there is so much of it that we didn't see this time!! Swimming off the back of the boat was a highlight, and lots of fun. The meals were great, and it was nice not to have to think about what to eat - it all just happened! The facilities were first-class and the food... the chef was a gem! The possibility of swimming in tiny bays on each day during the summer will be enjoyed by all on-board.